New chapter, new set of CSS properties. Here, we're going to look at the borders and shadowing effects that can be applied both to the text and the blocks making up our page. In particular, we're going to reuse our knowledge of colors to choose the color of our borders and shadowing. Ready to be surprised again? To get to the point, I intend to directly use the border super-property which includes all these properties. Do you remember the background super-property? It works on the same principle: we're going to be able to combine several values. The width: specify the width of your border. Enter a value in pixels (such as 2px). The color: this is your border's color. As we learned, use either a color name (black, red, etc.) or a hexadecimal value (#FF0000) or an RGB value (rgb(198, 212, 37)). outset: global outset 3D effect. The next figure shows the various border styles you can use. Who said you have to apply the same border to all four sides of your item? 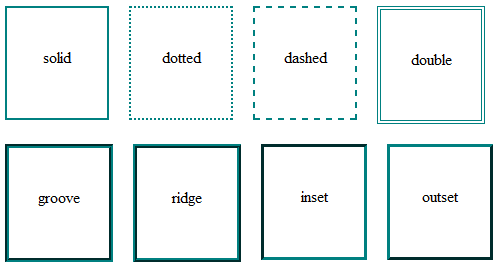 There are also equivalents for setting each detail of the border if you want: border-top-width to change the thickness of the top border, border-top-color for the top color etc. They are also super-properties which work like border but thus only apply to a single side. You can change the borders of any type of item on the page. We've done it here on paragraphs but you can also change the border of images, important texts such as <strong> etc. Rounded borders are a bit like the Holy Grail webmasters have been waiting for since the last millennia (or so it seems). 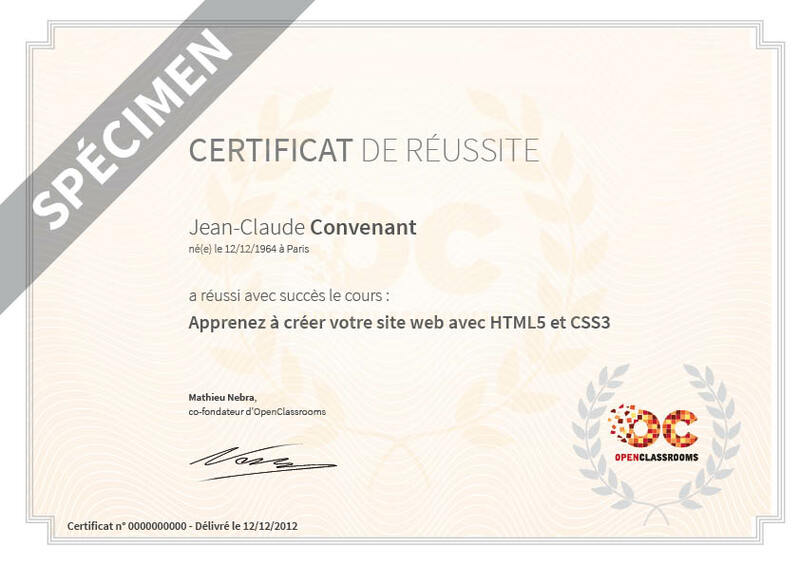 Since the arrival of CSS3, it's now possible to create them easily! The radius is seen in particular if the item has borders, as shown in the figure below. ... or if it has a background color, as in the next figure. Rounded edges work with all newer browsers, including Internet Explorer as of version 9 (IE9) upwards. For older versions of Mozilla Firefox, Chrome and Safari, so-called "vendor prefixes" had to be used, in other words, you had to write various versions of the property (-moz-border-radius for Firefox, -webkit-border-radius for Safari, etc.) in the CSS code. This is fortunately now no longer necessary, unless you want to support the older versions of these browsers. Shadows are included in the latest innovations provided by CSS3. You now need just a single line of CSS to add shadows to a page! The result this would give is shown in the next figure (I added a border to the paragraph to show the effect better). I'll leave you to try it to see the result. The box-shadow property works on all newer browsers, including IE9. For some browsers, especially mobile browsers, a prefix still has to be added. You thus have to enter a -webkit-box-shadow version for this to work on Android and iOS browsers. With text-shadow, you can add a shadow directly to the letters of your text! The values work in exactly the same way as box-shadow: offset, toning down and color. The result is shown in the next figure. This property is recognized by all newer browsers except Internet Explorer, which only recognizes it from version IE10 up. You can apply a border to an item using the border property. You have to specify the border width, color and type (solid line, dotted line, etc.). You can round the borders using border-radius. You can add a shadow to text blocks using box-shadow. You have to specify the shadow vertical and horizontal offset, it toning down level and its color. The text can also be given a shadow using text-shadow.